Item # 317268 Stash Points: 3,195 (?) This is the number of points you get in The Zumiez Stash for purchasing this item. Stash points are redeemable for exclusive rewards only available to Zumiez Stash members. To redeem your points check out the rewards catalog on thestash.zumiez.com. 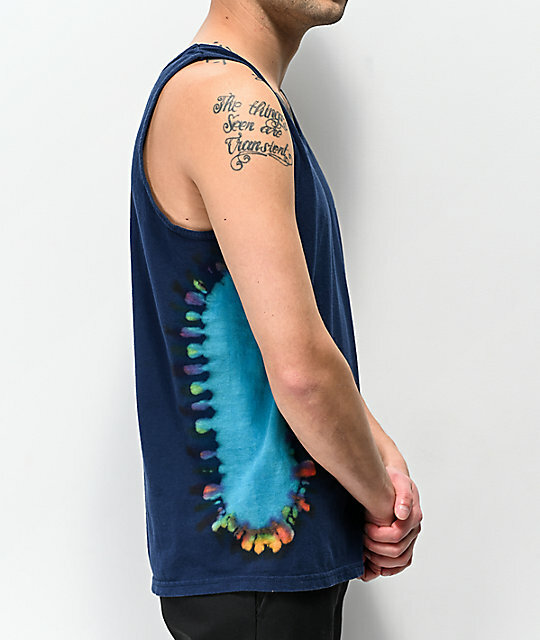 Summer calls for tie dye, get yours with the Primitive Nuevo Tie Dye Tank Top. 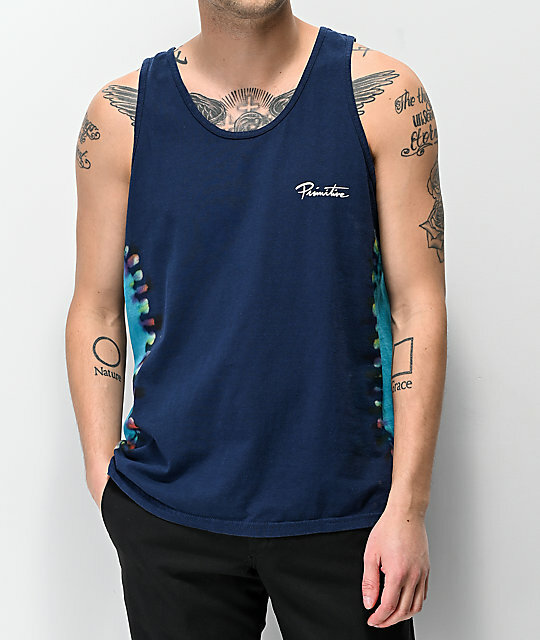 This tank features a screen-printed script logo at the left chest and blue tie dye throughout with hints of rainbow detail for a colorful look. 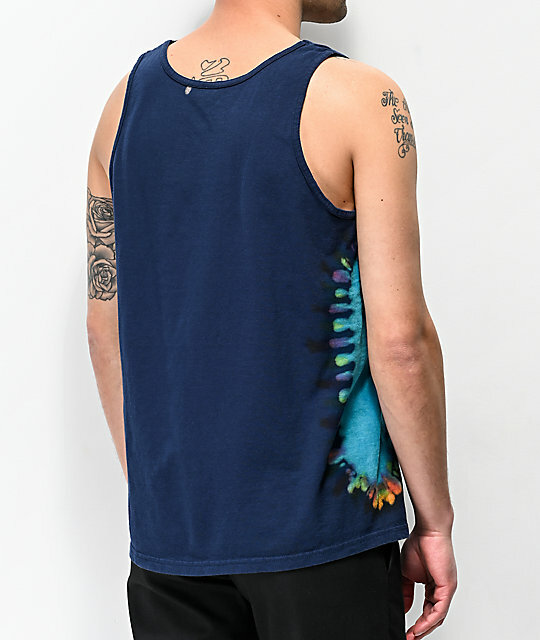 Nuevo Tie Dye Tank Top from Primitive. 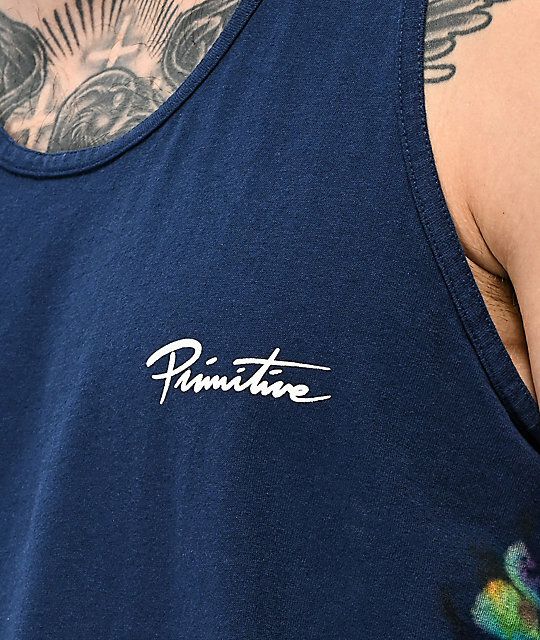 Screen-printed logo script on the left chest. Tie dye detailing up sides.